Whooping cough, or pertussis, is a highly contagious illness caused by the Bordetella pertussis bacteria. It causes coughing spasms followed by a sharp intake of air that creates the characteristic “whoop” sound that gives the illness its common name. Click here to listen to the cough. The bacteria release toxins which inflame the respiratory lining and lead to difficulty clearing secretions. In its most severe form, whooping cough can lead to complications such as pneumonia, exhaustion, and death. A whooping cough infection may range from a mild cold-like presentation to a severe respiratory illness with a classic cough. 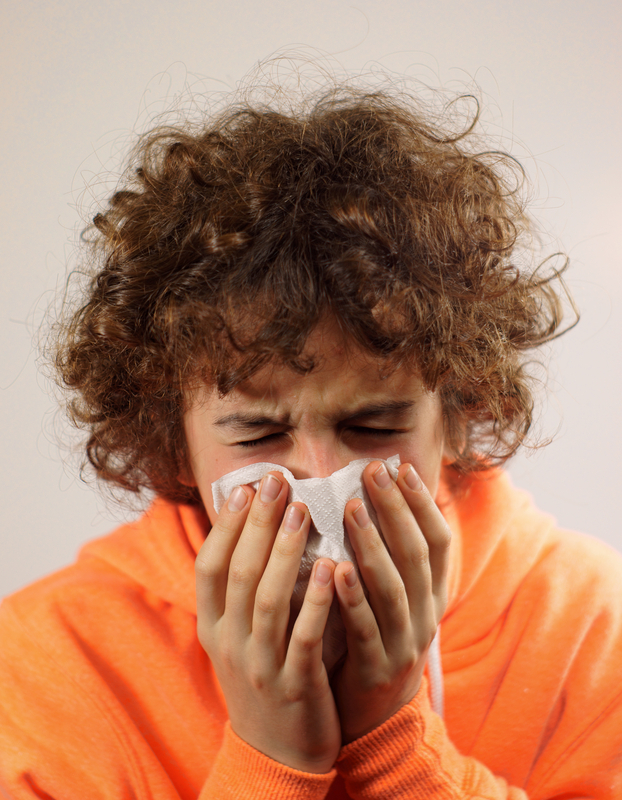 The illness typically occurs in stages, with the early stage lasting 1-2 weeks and resembling a typical cold. The later stage lasts for weeks to months and may be characterized by coughing fits. The final stage of convalescence, or recovery, is gradual as the illness resolves. Whooping cough is spread by contact with respiratory droplets from an infected individual. Many adults experience a milder form of whooping cough with cold-like symptoms and occasional cough, so they may spread the illness without realizing it. Infants most often contract whooping cough from a caregiver or other close household contact. An infected person is most contagious during the early phase of symptoms and 1-2 weeks after the onset of coughing. Appropriate treatment with antibiotics may decrease the length of time an individual can spread whooping cough. The incubation period (time from initial infection to first symptoms) is most often 7 to 10 days though longer periods have been reported.